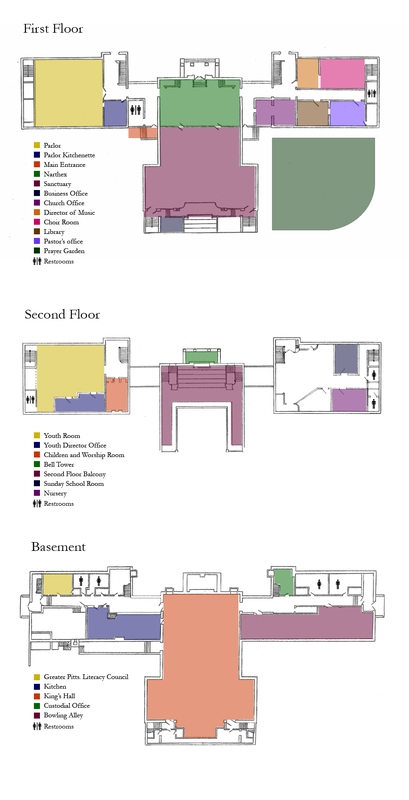 To see a picture and a brief description of each room, just use your mouse to hover over the room. If you are viewing this page with a smartphone, tablet, or other touchscreen device, just tap the room. 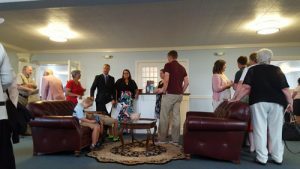 The Parlor is a smaller and more intimate setting where the 8:30 a.m. Sunday worship service is held as well as church fellowship activities and adult education classes. We also invite anyone to use this as a room of refuge for those who would like to hear the 10:30 a.m. service outside of the Sanctuary. 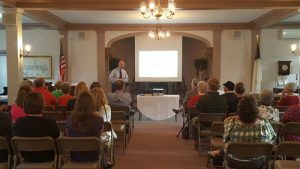 The Narthex is a welcoming reception area before you enter the sanctuary where members and visitors will gather before and after the service to share fellowship. 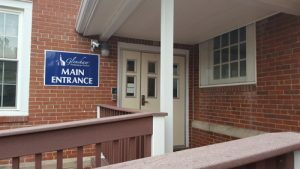 Recently renovated, it now offers comfortable couches, information kiosks, and updated handicapped ramps so the first floor is totally accessible for people with disabilities. 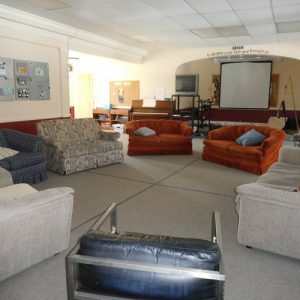 The Youth Room is a welcoming and secure place where our youth can feel comfortable as they explore their faith. It is for learning, fellowship, worship, having fun and just hanging out. 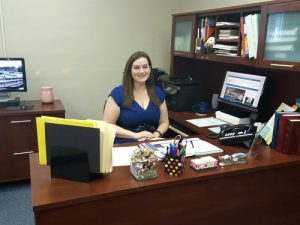 The Church office is the center of GPC administrative activities and the place to find answers to many of your questions. The hours are Monday through Thursday, 9 am to 4:30 pm, closed on Fridays. Please call 412-486-8400 for assistance. King’s Hall is our large multipurpose room which includes a stage and the attached church kitchen. 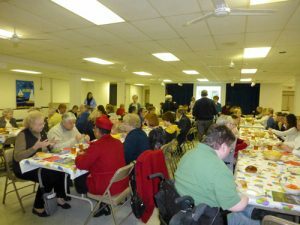 You can find almost any activity here from pot luck dinners or a talent show to the meeting of a Sunday School class. 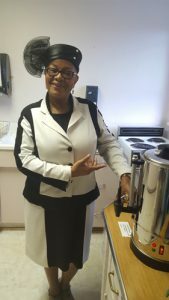 Our church has a large professional kitchen which is used by all the groups in the church. This picture shows our youth group as they help prepare and serve dinner for a Valentine’s Day Dinner. Our nursery, which has recently been repainted and carpeted, is a bright and welcoming space for all children up to 4 years old. You can be sure that your child will be safe, busy, and well cared for while you attend classes or a worship service. 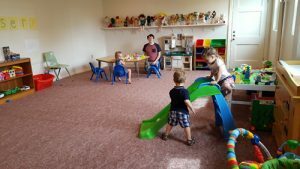 Childcare is available from 8:30 am until 11:30 am every Sunday. 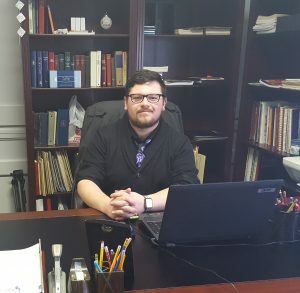 Our Director of Music and Education Ministries sits at his desk surround by the many files storing choir music, bell choir music, and education resources. 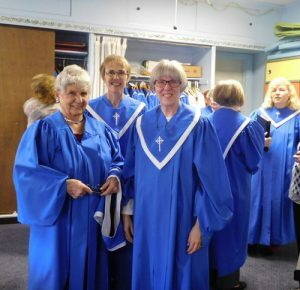 Our choir room is the place where our chancel choir practices as well as the place where they find their choir robes and music! 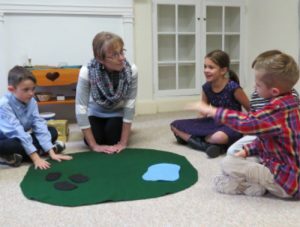 During the 10:30 am service, children who are 4 years old through 2nd grade will come to the “Children and Worship” room where they will continue to worship in a way that is meaningful to them. Our sanctuary reflects the simple yet beautiful style of colonial architecture. 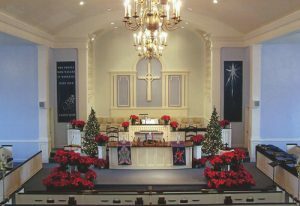 Beyond the communion table in the front of the sanctuary is the area for the choir and the beautiful pipe organ. The bowling alley is in the basement of the church and has provided endless hours of entertainment for all ages. 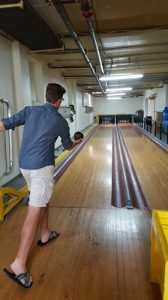 Part of this unique experience is that everyone takes a turn at replacing the duck pins and returning the balls! Since our parking lots are at the back of our church, our main entrance is also at the back of the church near the handicapped ramp. As you enter, there will be church members there to greet you and answer any questions. 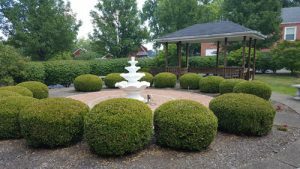 Our prayer garden is a place of peace and serenity with a meditation circle, places to sit and a beautiful water fountain. Members can buy a brick for the prayer garden with inscriptions to honor or memorialize a special person. 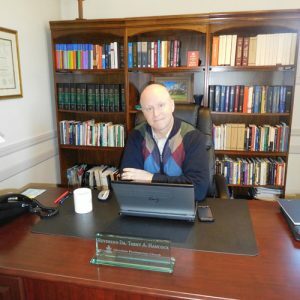 Pastor Trent Hancock’s office is just past the office and the library. 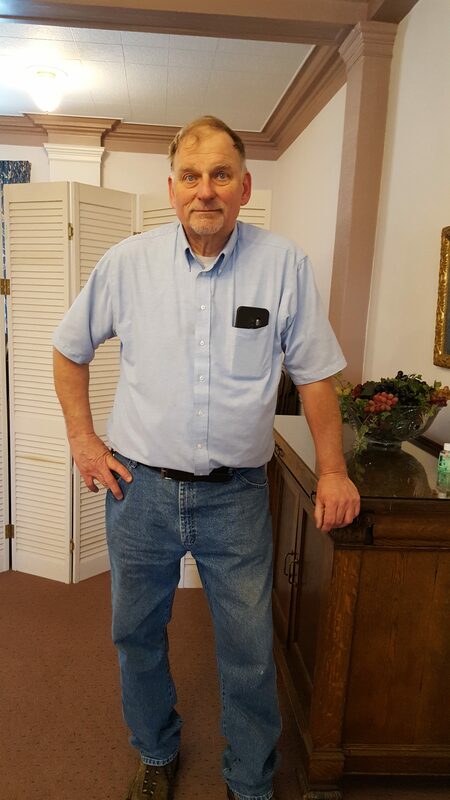 He encourages us to stop by for a visit or make an appointment to talk about GPC or your concerns. This small but well-supplied kitchen (stove, refrigerator, dishwasher, dishes, etc.) 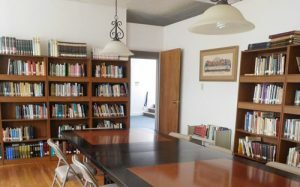 is adjacent to the parlor and is used to help host many of our fellowship activities. One of the most important jobs for the kitchenette is to provide the Sunday morning coffee and tea! Members and non-members can rent the parlor and kitchenette for special events. 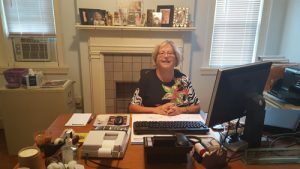 Our Business Manager is very busy with administrative functions within our church. 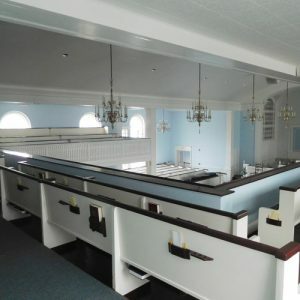 The second floor balcony surrounds three sides of the sanctuary and offers a good overall view of the worship service. 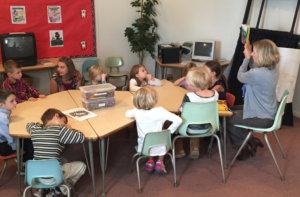 This is one of our Sunday School rooms used for the children during the Sunday morning education hour. 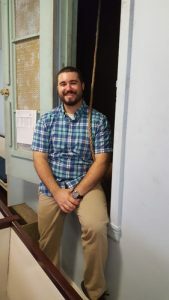 The bell in our bell tower was found in an abandoned Methodist Episcopal church in Tionesta, PA and brought to our church to be installed in 1948. Our children often help the custodian ring the bell to announce the start of Sunday worship. Our Property Manager’s office is in this room on the ground floor. However, you won’t find him there since he does a variety of jobs most anywhere in the church building or on the grounds! 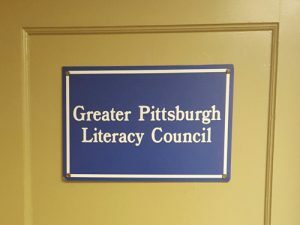 Our church offers The Greater Pittsburgh Literacy Council office space for their programs in the North Hills area.